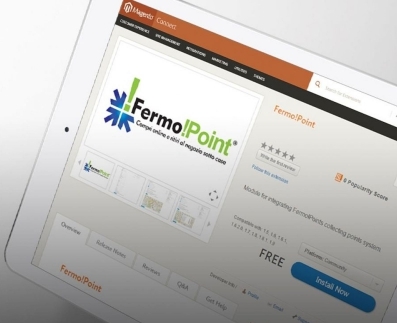 Magento Fermo!Point module is now available for download from Magento Connect. Fermo!Point service offers the online customer the convenience to collect the purchased goods at the most convenient point of withdrawal according to his preferred time. The new Magento 2 eCommerce for Emporio Cattani was released today. Advanced Logic is officially a member and Business Partner of Netcomm, the Italian Consortium for Electronic Commerce. Farmaworld's offer is now also available online through a new Magento 2 website. Quantico, a leading Italian footwear and apparel brand, migrates its eCommerce site from Squarespace to Magento 2. Bricogarden, a leading Italian company in the Brico sector, boosts its sales strategy with a 2 Magento site. The aheadWorks blog post dedicated to modules used by Advanced Logic for the realization of some Italian online shops.